Rhinophyma is characterized by a large nose with irregular growth of yellow-colored masses on a background of pinkish skin. This disorder is an extension of the more common acne rosacea that can affect the nose and cheeks. The nose has a large number of sebaceous glands that can become hypertrophic (enlarged), leading to a nose that appears to be swollen. The exact cause of this condition is not known. The treatment for a large rhinophyma mass is surgical or laser removal. The bulk of the tissue can be removed by a surgical blade, dermabrasion (sanding stone), or a carbon dioxide laser. The procedure can be performed under local anesthesia and takes about half an hour. After about one week of healing time, the nose should appear smaller and the surface smoother. My Approach: I use a lot of local anesthesia to reduce any bleeding. I prefer using a scalpel to shave off the tissues and reshape the nose. I find it imperative to teach the patient meticulous wound care with hydrogen peroxide soaked gauze applications five times a day and not allowing any scab formation. The nose should be covered with antibiotic ointment at all times. The healing in my experience can take up to six weeks and the patient should be prepared for that in advance. For more information or to schedule an appointment, contact us toll-free at 877-JANJUA1. Our location in Bedminister, NJ is within easy access from Morris and Somerset County, New Jersey. Restrictions apply, for details call or email the office. 27 Sep 2013 - 7 days post The entire experience with Dr. Janjua and his staff was wonderful. From the consultation to the removal of stitches, I felt my son was in great hands. A week after the procedure, his stitches were removed and the incision was barely visible. I would highly recommend Dr. Janjua to anyone in need of a cosmetic surgeon. 6 Jan 2013 I've had Laser hair removal as well as Botox. Dr. Janjua is very professional and kind.. He is conservative and doesn't feel the need to go overboard with Botox so you can maintain a natural look. I've received tons of compliments on my skin. I've also had great results with the hair removal as well. I recommended him to all my friends. Dear Dr. Janjua, I want to thank you for taking great care of me during my recent surgery. It was my first experience for surgery and you made it so simple and easy to understand the surgical procedures. I admire your professionalism and want to thank you for everything Regards, Karmjit S.
I was referred by my dermatologist. He gave me the names of other doctors but when I asked him who he would refer his wife to if she was in my position, he said, "Dr. Janjua". Dr. Janjua is certainly the best doctor I have ever had. I had basal skin cancer on my nose. My situation was very challenging and I was quite upset and concerned about my appearance. Dr. Janjua did an impeccable job and everyone I know tells me they cannot tell I had surgery! In addition to his expertise, Dr. Janjua was genuinely interested in me as an individual and was very sympathetic and supportive. I would be pleased to recommend him to anyone considering or requiring facial plastic surgery. December 16, 2011 (from RHINOPHYMA PATIENT) Dr. J Staff, Words cannot express the many thanks for what you have done for us. Just when we thought nobody could help Joe we found you. You and your staff have truly changed Joe back to the person he once was, not only in appearance but in personality. Many, Many Thanks Sue Joe C.
December 12, 2011 (from a 20 year old Rhinoplasty Patient) Dr. Janjua Thank you for doing such a great job on my nose. Although no one ever mentioned it to me, I had always felt uncomfortable with my appearance because of my nose. Since my surgery in May, I have been incredibly happy with how I look. Before I was never able to feel my best because my nose had always brought me down. I could not be happier with the fantastic job you’ve done, and I am forever grateful. Thank you. Carlin D.
Dear Dr Janjua, When I am with my daughter, people assume we are sisters. Poor Christine! People do not call me “Maam” or “young lady” nor do they move aside so the “old lady” can pass. When I mumble about “having a senior moment”, people give me strange looks. This is all due to your help. How can mere words express the thanks that are sent your way. God made you a gifted surgeon and then he blessed me by showing me the way to your practice. Thank you, Ellie B PS – Your staff is wonderful, too! 29 Sep 2013 - 2 months post Dr. Janjua did a fabulous job on my eyelid surgery! He explained the procedure, set my expectations, and followed up. Staff was also excellent! Dr. and his staff spent time with me explaining what I can expect and they lived up to it! Healing was scary, not painful but ugly! I was ok to return to work in a week. 11 Dec 2013 - 3 months post Due to my impaired vision I had eyelid surgery. I also had a droopy eyelid that was corrected. The procedure was completed exactly as they explained it to me. The Dr. and staff were professional, caring and accessible throughout all stages of my surgery. Today I am seeing better and looking better because of their care and superb skill in performing the surgery. From the first appointment with Dr. Janjua his compassion, caring and professionalism were outstanding. His skill as a surgeon was phenomenal. He always made time for any questions or concerns I expressed. February 3, 2013 6 weeks ago I went to Dr. Janjua for laser hair removal for my chin and mustache. As I age the hair is getting thicker and causing me to be more insecure. 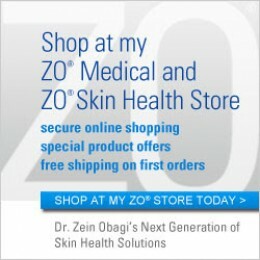 I have attempted laser hair removal about 5 other times by different cosmetic and laser doctors only to be disappointed at the result. I have thick stubborn hair and whiskers that I have to pluck every single day until NOW! I had only one session and am so amazed and surprised at the difference. I expected and prepared myself for results after 4 sessions to really notice anything but I am so happy to see the change that has happened already. I have another appointment already scheduled for my legs to also get done. Dr. Janjua never ceases to amaze me. 28 Apr 2013 - 24 days post Dr. Janua is great. I had one treatment for my chin and all the hair is gone! I was amazed I thought I would need 4-5 treatments. I am definately going back for bikini area and under arms soon. I HIGHLY recommend him. His staff is also very friendly and efficient smooth process from start to finish. Highly experienced and intelligent physician who observes closely and helps guide you in making the best decision. He notices subtle things in your appearance, and is genius in determining next steps, with the aim of making you look your best, yet totally natural. Highly recommended. He administered Sculptra and Dysport, which made an enormous difference. No facelift necessary! © Janjua Facial Surgery 2016 - All rights reserved.